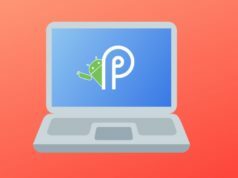 28 Best Android 9 Pie Features: What’s New In The Latest Version? Google I/O 2018 packed some hefty surprises for Android users. While the company’s advancements in Google AI and Google Assistant held us spellbound, the Android Pie features pleased Google fans. Now that the name of Android version 9.0 isn’t a mystery anymore, it’s time to see a bunch of cool and exciting features. This year, Google is focused on making our digital lives more calm and organized through Android Pie. 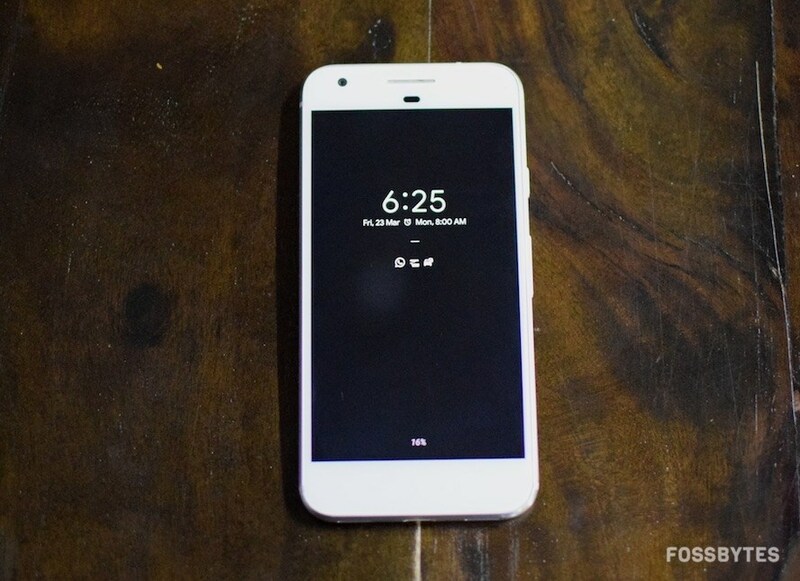 The update rollout has begun for Pixel devices and Essential Phone, and others should follow soon. The company is trying to make smartphones adapt to user habits through AI and machine learning. The UI has undergone a major overhaul and the Android P now offers you great features to curb your phone usage. Note: Some features which are a part of digital well-being initiative of Android Pie will still remain in beta. You can sign up in the well-being beta which would launch later this year, staring from Pixel smartphones only. Android P now supports IEEE 802.11mc WiFi protocol which is also known as Wi-Fi Round-Trip-Time (RTT). It’s one of the best features that Android fans are waiting for. 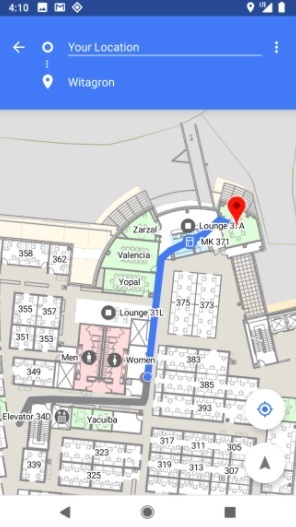 This new feature enables indoor GPS style tracking by determining your location within a building and facilitating turn-by-turn directions to help you navigate indoors. It means you can now find your way across short distances within malls and large buildings. 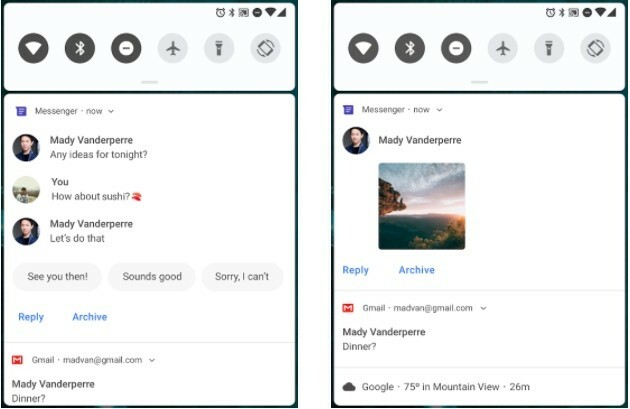 Google has redesigned the way you navigate the OS by introducing Gesture Navigation in Android P similar to iPhone X. Instead of three buttons set on the home screen, there is an option to use a new single home button that allows you to swipe up to view recent apps along with a UI that suggests apps you might use. Sliding too far left and right across the device would showcase recent apps and lets you quickly switch between them. It’s easy to lose track of time while you are glued to your phone watching YouTube videos, playing games, or checking out social media. This is why Google has introduced a bunch of features that let you control how you use your phone. Another step towards Digital Wellbeing is the App Timer feature which lets you set time limits on apps you use for a more extended period. On approaching the time limit, a notification pops out warning you have reached your time limit and the app ‘pauses.’ So with Android P, you can manage your time better and improve your productivity. Meetings and family gathering often demand your full presence, and Android P is going to help you with that through its modified Do Not Disturb mode. It not only silences the phone calls and notifications but also all the visual interruptions like notifications that frequently pop up on your screen. 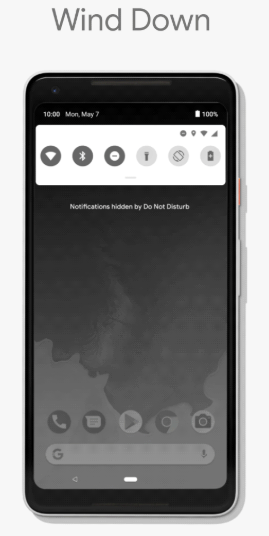 Another gesture-based Android Pie feature called ‘Shush’ makes it easier to distance yourself away from calls and notifications by enabling Do Not Disturb mode. To activate Shush mode, just put your phone face-down on the table, and it automatically enters the DND mode. Many of us spend hours on our phones at night before we actually fall asleep. Wind Down will help you curb this habit by switching on Night Light and turning on the Do Not Disturb mode at your chosen bedtime. 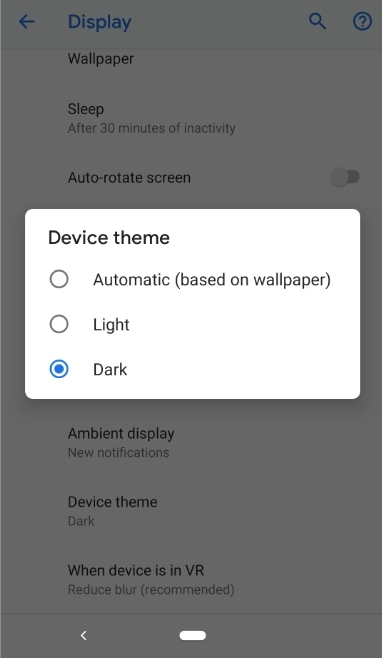 Just select the time at which you would like to go to bed, and Android P will fade the screen to grayscale to help you remember to sleep at the selected time. 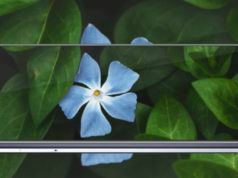 Whether you like it or not, every smartphone manufacturer is following the trend of notch displays. And Google seemed a little unprepared since Android 8.0 had no support for a display cut-out. 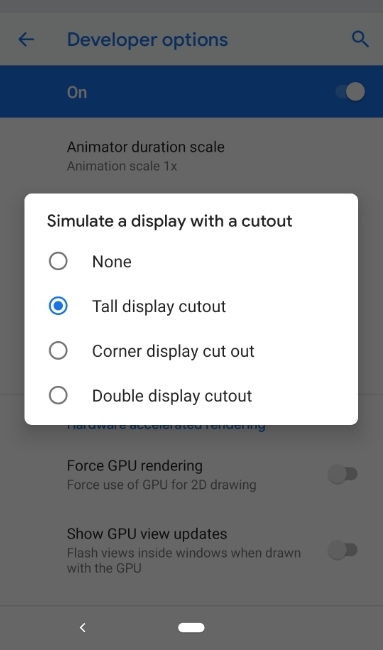 Henceforth, Android P features an edge-to-edge screen support with an option to “Stimulate a display with a cut-out.” The new feature will encompass different types of cut out modes like narrow, tall, and wide to suffice different notch dimensions. This option can be found after enabling the developer options. After doing so, follow Developer options > Drawing > Simulate a display with a cutout. Finally, choose the cutout size. 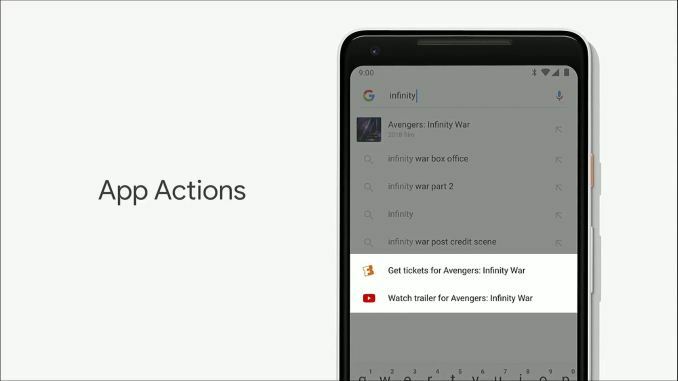 App Actions is another great feature in Android P that helps you better navigate through the day by giving smart suggestions based on your habits. It can automatically anticipate your next action based on the current action. For instance, if you connect your headphones to your smartphone, App Actions will ask if you’d like to continue listening to your favorite playlist on Spotify, thus allowing you to skip several steps in the process. 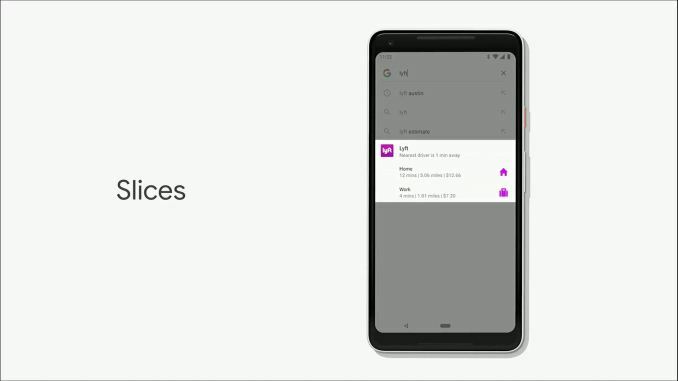 Such actions show up throughout the OS such as Smart Text Selection, the Play Store, Launcher, the Google Search app and the Assistant. ‘Slices’ is one of the best Android P features which comes in handy at several places. It lets you perform basic application activities outside the app. Let’s say you search for ‘Lyft’ in Google Search. An interactive Slice appears on screen that displays price and time for a trip to work so that you can quickly book a ride. In short, Slices are fully functional UIs that can be embedded externally in other applications to provide a variety of options to the user. This feature, just like tons of other segments in Android, performs a deep analysis of your inputs and contexts to show you the best parts of the apps you use most of the time. It can surely send a chill down your spine. 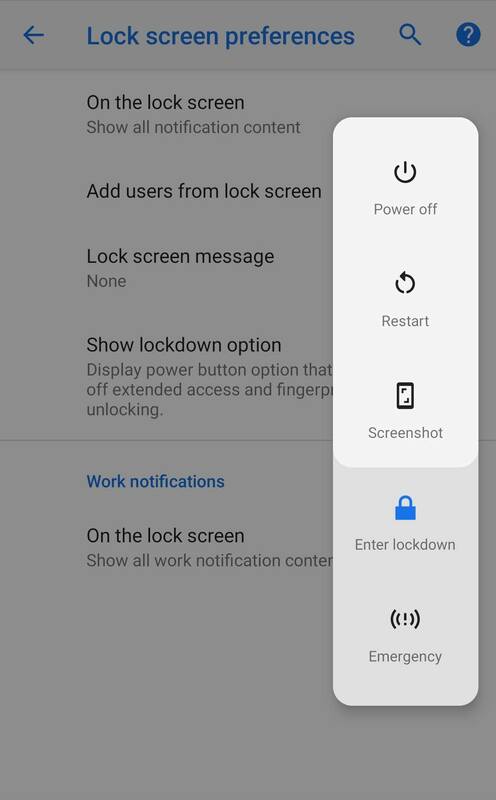 The latest addition to the power menu is the “Enter Lockdown” button. It’s one of the top features of Android P that further boosts the security of your phone. Once enabled, it disables fingerprint unlocking option which can be quite useful in case any assailant force you or trick you into unlocking your phone. After launching the mode, you will be required to insert your PIN, password or pattern for any other unlock methods to work again. We can finally get rid of the annoying mistakes of selecting incorrect text. Android P will now support Zoom lens feature. Basically, when you long press a phrase, it will automatically magnify at the pointer. 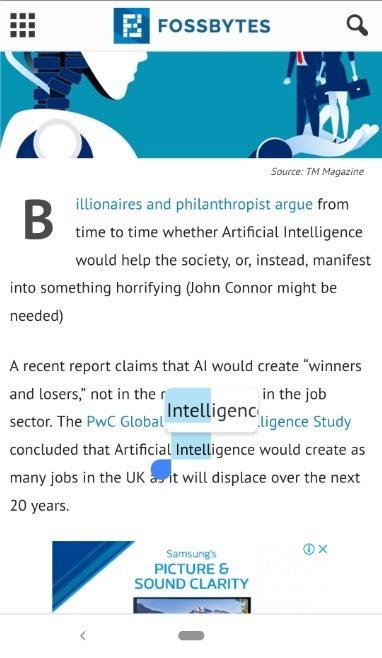 Not to mention, this will help you read small text and selecting words precisely. The notification channels on Android P have been revamped and it allows you to block the certain type of notifications from appearing on your phone. The type of notifications you usually dismiss will now display a red minus sign. Tapping on it will display a message asking if you would like to “Stop notifications” or “Keep showing” them. Messaging apps have received several improvements to enhance the overall experience. A notable feature is a provision for developers to make images viewable in the notification shade for all incoming messages. It also has Smart Reply which permits you to reply quickly to messages through the notification shade and use suggested responses that are created by analysis of the incoming messages. 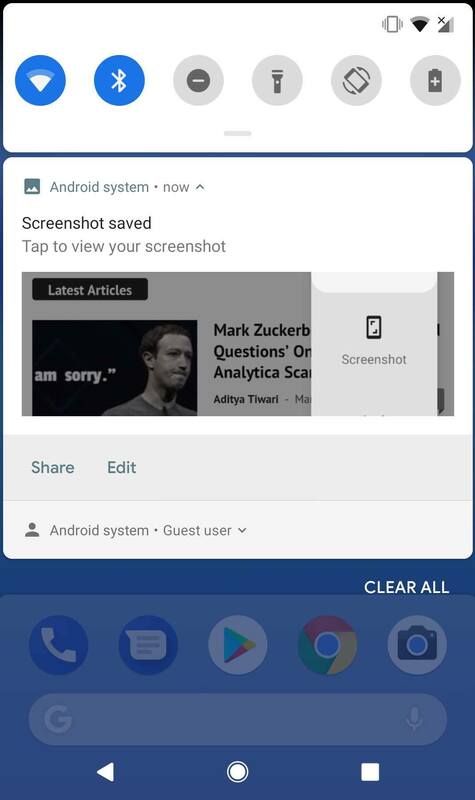 We have already discussed the how to use Android P’s new screenshot editor where you can edit and share your screenshots immediately after taking them. Another handy Android 9.0 feature is the addition of the screenshot button to the power menu. Thanks to this feature, you no longer have to struggle with the power + volume down buttons. The addition of new contextually aware button makes auto-rotation a whole lot easier and is one of the incredibly handy Android features I have seen. An auto-rotate button appears in the navigation bar when your phone is rotated to an orientation it’s not currently locked to. Suppose your device is locked to portrait mode and you try to rotate it to landscape, a button appears. Tapping this button will lock your phone to landscape until you are using that app or you rotate the phone back to portrait mode and touch the button again. In the past, Google automatically applied a dark or light theme based on the wallpaper’s color tone. But Android P features a notable option to manually change from different themes. Under the display advanced settings, you can select whichever theme you prefer. Again, the theme settings will only apply to the app drawer and the notification shade. With the increase of privacy concerns like Facebook tracking your activities, it’s a relief to know that Android has revamped its privacy factor in the newest version. As of now, once you allow an app to access your camera and mic, it can use them whenever they want. 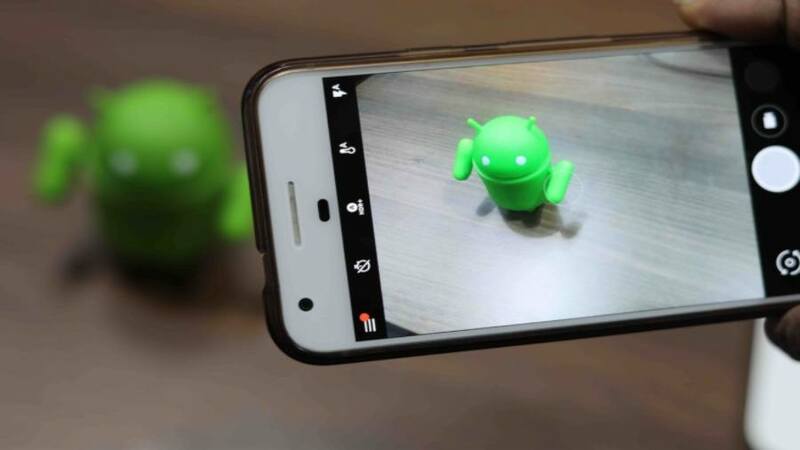 But Android P will block apps running in the background from accessing camera and microphones. In case an app tries to use your camera without you knowing, it will be shut down and receive system errors whereas apps that attempt to record audio will capture blank sound until you open the app. Talking about further restrictions on the background apps, sensors like gyroscopes and accelerometers that use continuous reporting mode don’t receive events. Same applies to on-change and one-shot reporting sensors like step counter, proximity, and heart rate sensor, significant motion, etc. 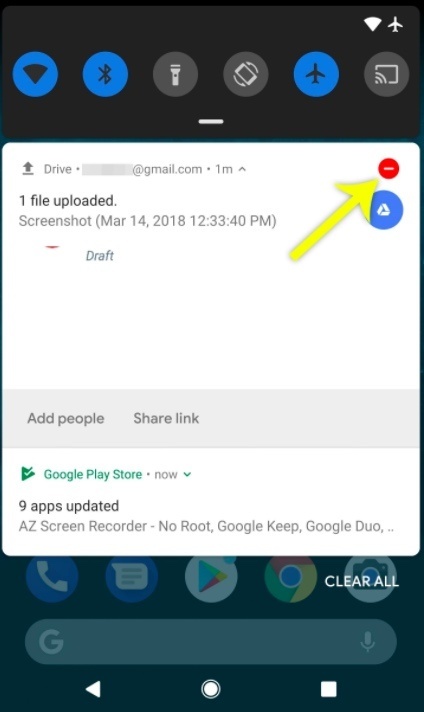 Android Pie also brings along restricted access to call logs for better visibility and control to apps that need information like phone number identification and phone call record access. If an app needs call log access, it must explicitly request these permissions. 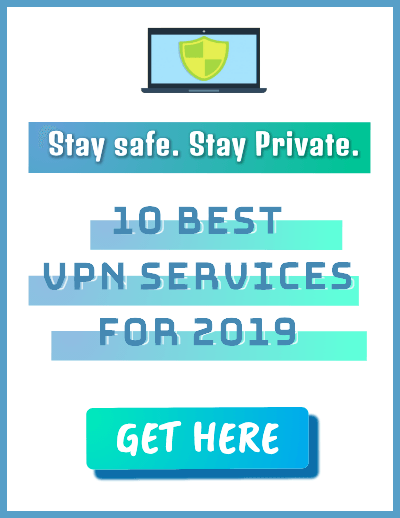 Similar restrictions have been applied to phone numbers, WiFi location, connection information, etc. Internet browsing works on two protocols: HTTP and HTTPS, with a major difference being the encryption feature of the latter. But all apps do not use the secure protocol for communication which can expose you to potential dangers. Now all apps built for Android P will communicate data via HTTPS by default. This will ensure the safety of your data while sending or receiving data from the app’s servers. Call recording feature is quite old, but what’s new is its ability to notify all parties whenever a conversation is being recorded. Once the call recording starts, the system will play a tone at an interval of 15 seconds to alert the other party. Google Media notification panel has always been chaotic. A lot of us had gone through that embarrassing situation when a video plays on full volume even when we had turned it down. In other instances, we accidentally decreased the call volume while on an urgent call. 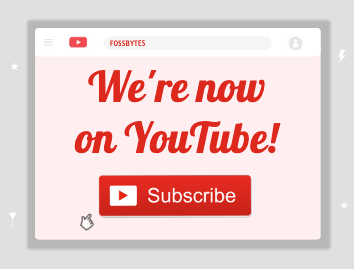 Well, Google has finally listened to our voice and revamped the entire media panel. First and foremost, the volume slider is now vertical and shifted to the right of the screen. And *drum rolls* the physical volume buttons will only change media volumes by default. 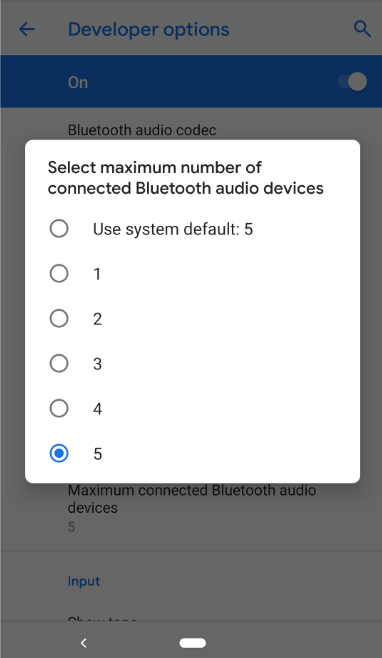 The same media panel also features different volume options when connected to more than one device. This separates the phone volume from the volume of connected devices. The High Efficiency Image File Format (HEIF) is a new image format developed by MPEG group. Its advanced compression method retains higher image quality than JPEG images and creates smaller file size. 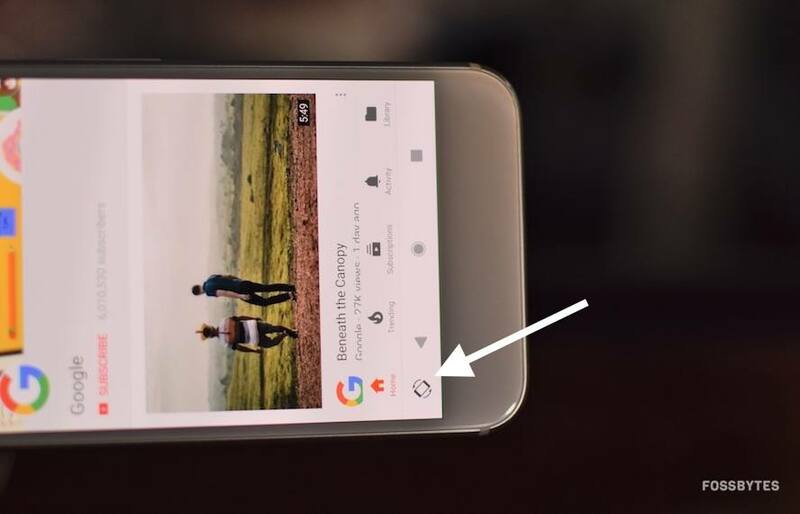 The built-in support for High Dynamic Range (HDR VP9) in the latest Android version 9.0 allows you to create HDR-enabled videos that can be viewed on devices and apps that support it. Android Oreo’s implementation of Autofill has one limitation, and that is its inability to work with browsers. But the latest version deals with this limitation by allowing password managers to populate the login credentials into browsers. With the Android P, Google has introduced 157 new emojis including gender inclusive emoji as well as few minor tweaks in emoji designs. 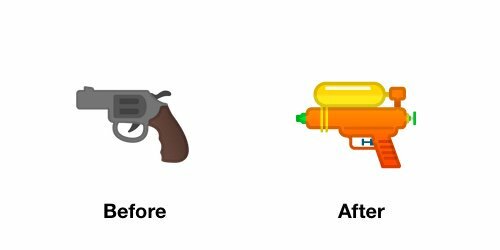 These emoji already existed in the Unicode Standard, but Google is now following its guidelines more closely. This also marks the removal of gender-neutral blobs. 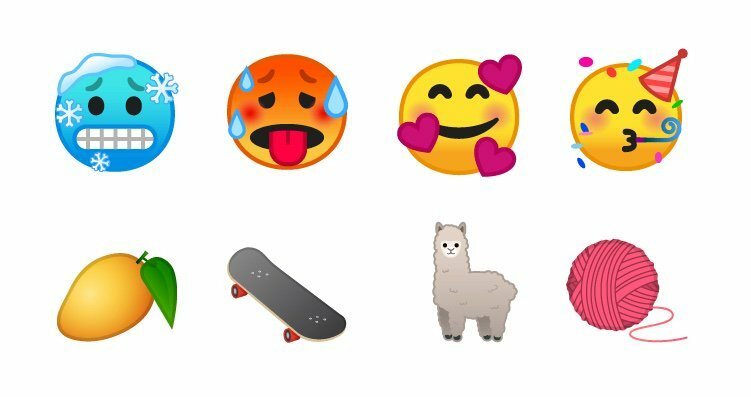 The new pack of exciting emojis includes a cold face, hot face, mango, and llama. A new line of redhead emoji is also added in Android P.
Ambient Display was originally designed to show the current time and notifications on the phone without having to go to the home screen. 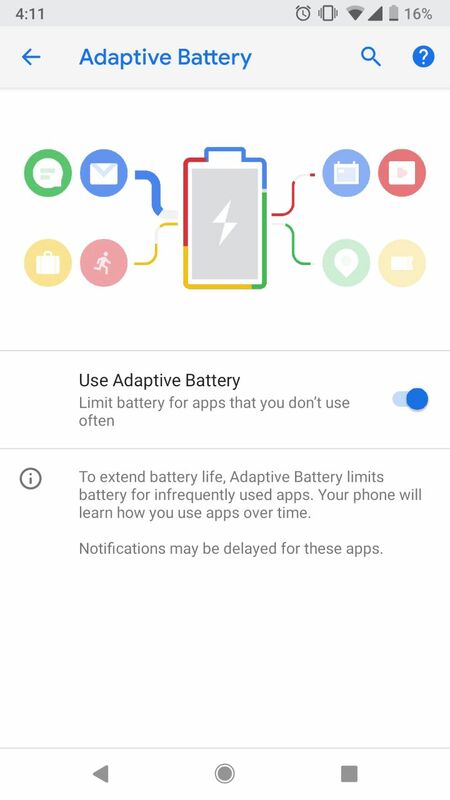 A much-requested feature to show battery charge percentage on the Ambient Display has now been added to Android P.
Google is relying more and more on AI to enrich user experience and its latest example is ‘Adaptive Battery.’ As per the company, it has partnered with DeepMind to get inputs on how to use machine learning for the best battery performance. It learns to prioritize battery power by observing apps and services you use the most, thereby helping you get the most out of your battery, and make it last for a longer time. To further improve your battery saving experience, improvements have been made to battery saver feature. Now Android Pie doesn’t wait for an app to be idle and puts an app in standby mode more aggressively. Also, background apps don’t have network access and the limits are applied to all apps–it doesn’t matter if they target Android P or not. Google is aiming at making smartphones smarter by making it learn from your habits and adapt according to your preferences. 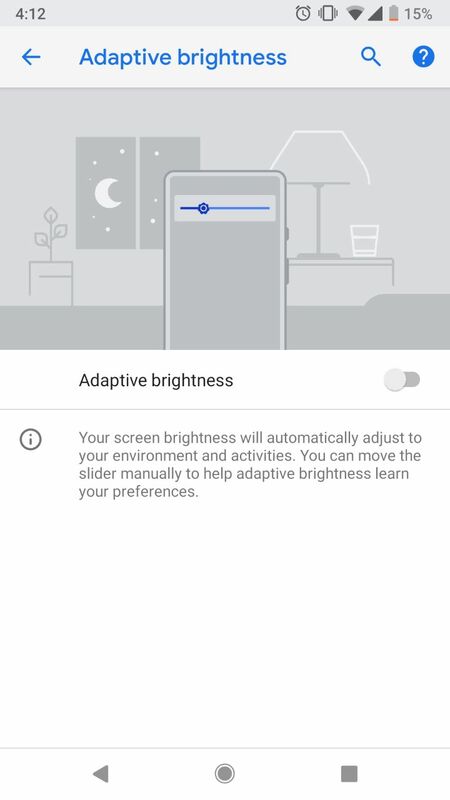 So Android 9.0 now sports a new mechanism called ‘Adaptive Brightness’ that learns your preferred levels of brightness in different surroundings. By tracking user adjusted brightness, it will automatically set the screen brightness levels for you. New changes in the OS will improve the Android Runtime (ART) resulting in a significant performance and efficiency boosts. This means that apps can launch faster and consume less memory on your phone with Android Pie. Also Read: How To Replace Google Assistant With Alexa Or Cortana On Android? 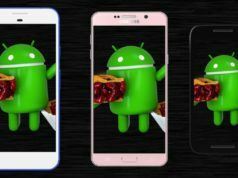 Android Pie Smartphones List: Will My Phone Get Android 9 Update?